Sarah Nader- snader@shawmedia.com Jane Gritmacker of Hebron works on her painting while attending "Paint & Sip" event hosted by Heather Muse at Java Planet in Woodstock Wednesday, June 4, 2014. 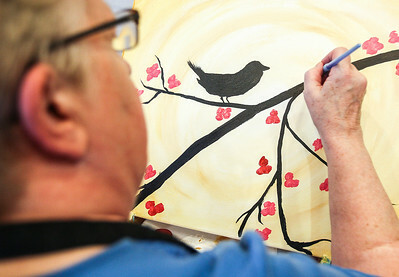 During the event participants are encouraged to bring their own favorite adult beverages and paint a featured painting instructed by Muse. 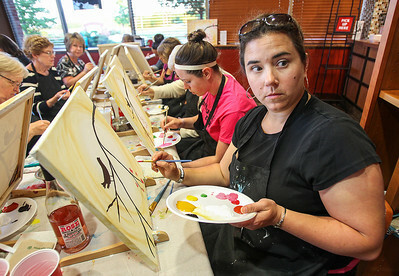 Sarah Nader- snader@shawmedia.com Michelle Obrochta of Huntley works on her painting while attending "Paint & Sip" event hosted by Heather Muse at Java Planet in Woodstock Wednesday, June 4, 2014. During the event participants are encouraged to bring their own favorite adult beverages and paint a featured painting instructed by Muse. 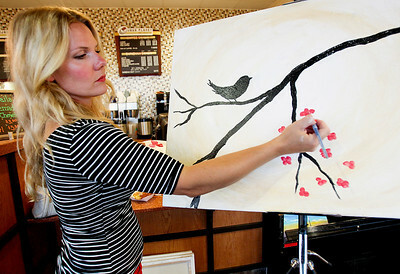 Sarah Nader- snader@shawmedia.com Laurie Robinett of Woodstock works on her painting while attending "Paint & Sip" event hosted by Heather Muse at Java Planet in Woodstock Wednesday, June 4, 2014. During the event participants are encouraged to bring their own favorite adult beverages and paint a featured painting instructed by Muse. Sarah Nader- snader@shawmedia.com Jen Wiegel of Woodstock checks the sample painting while painting flowers while attending "Paint & Sip" event hosted by Heather Muse at Java Planet in Woodstock Wednesday, June 4, 2014. 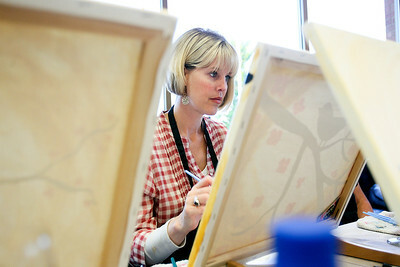 During the event participants are encouraged to bring their own favorite adult beverages and paint a featured painting instructed by Muse. 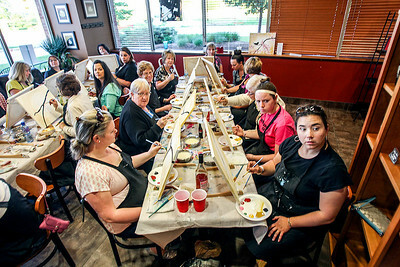 Sarah Nader- snader@shawmedia.com Instructor Heather Muse explains how to paint the flowers during the "Paint & Sip" event hosted by Heather Muse at Java Planet in Woodstock Wednesday, June 4, 2014. 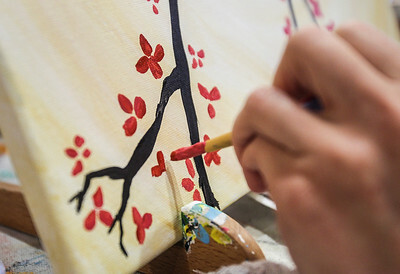 During the event participants are encouraged to bring their own favorite adult beverages and paint a featured painting instructed by Muse.